I'm only coming up with one listing for a marriage, year 1924 when I input Bychawa for parish. I must be doing something different that you? I found "marriage for Wawrzyniec Pietraszek, I found an 1870 marriage to Marianna Kołodziej in the parish of Zakrzówek" - put in Zakrzówek parish. yes I did find the 1870 marriage which sounds about right. Do you know what the Sulow under UWAGI means? Also how did you come up with Franciszek Pietrasek birth 1888 on Lubgens Search? I think Sulow is a town since on a map, I found Sulów just south of Zakrzówek. Regarding Franciszek Pietrasek, I searched the Bychawa births, but just put in Pietr as the last name and Franciszek as the first name so that it gave all combos starting with Pietr. I have ancestors that were baptized in the parish is Bychawa. I vaguely remember that Stara Wies may have also shown up in those parish records. That fits in with what I found on the parish you mentioned, St. Stanisław Biskupa Męczennika w Stara Wieś. Per Wikipedia, using the somewhat awkward translation link, it looks that parish wasn’t erected until 1932 and includes villages previously belonging to the parish of Bychawa and Boża Wola. Following that hunch, on lubgens indexes in Bychawa parish, I found a birth in 1888 for a Franciszek Pietrasek. It could be a spelling variation, misspelling or indexers interpretation of the spelling of the last name. Click on the scan - record 237. Although it is in Russian, it repeats some of the primary names in Polish. I am by far no expert at reading this, but I think I read a possible father’s name of Wawrzyniec Pietraszek (Wanzon could be a mangled attempt at Wawrzyniec) and a mother of Maryany Ko…. This one is probably worth trying to get a translation. 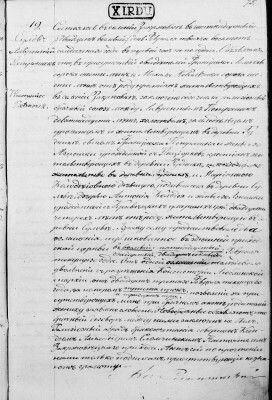 Looking further for a marriage for Wawrzyniec Pietraszek, I found an 1870 marriage to Marianna Kołodziej in the parish of Zakrzówek. That scan wasn't attached. Let me know if you have trouble finding what I found. The birth record is assuredly his. All the data matches what is found in records from the USA, including the day of birth—September 27. It looks like this could be the dawning of the genealogy Age of Aquarius—all the stars and planets seem to be aligning. It would be a good idea to post the images for a complete translation. I'm amazed you can figure all this out! I hope I just posted a request to translate the attachment. Very excited to actually locate their birthplace.Does anyone have a suggestion of where I could read a bit about the history of this area? There were a number of villages with that name. The one you want is 7.) Z. located towards the bottom of the left hand column on the page. Hope you can use some of this info. Thanks much Dave for all the links! Playing around with Lubgens in Bychawa parish, I think I found leads to a couple of your grandfather, Franciszek Pietraszek's siblings - your great aunts. In that parish, your grandfather's name had been written/indexed as Pietrasek. Using the Pietrasek spelling I looked at other parish records for that name and found births for a Katarzyna 1882 and Karolina 1885. I also see a death for a Karolina in 1886. Looking further, under the Pietraszek spelling there is a 1901 marriage for Katarzyna Pietraszek and Pawel Bieliński. Some of the other Pietraszek and Pietrasek records may also be worth looking at to see if the Russian records show any hints (like Polish names in parenthesis or hints at a birth town) that might lead to a match. Also it show a wife by the name of Zofia Bystryk - this matches the 1911 Bychawa marriage record on Lubgens for Wawrzyniec Pietrasek. Marriage to Zofia Cejzer, maiden name Bystryk. It appears he remarried after a presumed death of his wife. Have you read the two Russian records that Marcel translated for me? The birth record is pretty straight forward. Franciszek was born when his parents were a bit older which would make sense with younger siblings. I'm a bit confused (not sure if its warranted) about the second translation. 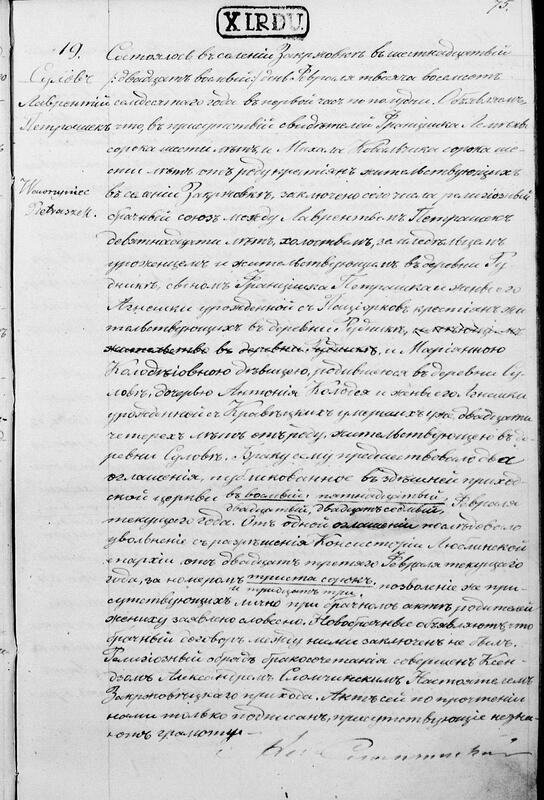 The Pietrasek/Kolodziej marriage record of 1870. If the record is correct, that would place their first child born 12 years after their marriage? Dave who found the record seems to think this is definitely the right parents. Just seems the length of time after the marriage is a long time, a person has to wonder what went on in their lives? Also the marriage record was obtained through the parish in Kakrzowek which is a couple of miles from Bychawa. Looking on a maple the villages ar in the same local, Blinow, Sulow,Rudnik, Jozefin, Stara Wies and Bychawa. All the various places sometimes make the connections a bit confusing. I appreciate any and all the help. First off, I have corrected the link in my post above to the death record for Wawrzyniec Pietraszek in 1924 in Łęczyca in the parish of Bychawa. https://www.familysearch.org/ark:/61903/1:1:QVMP-JTF7 Sorry, I pasted the wrong link. Note this record is in Polish. My quick thoughts - I too think that the 1870 Pietrasek/Kolodziej marriage record in Zakrzówek is likely the correct one. The parents, Franciszek and Agnieska Paciorek Pietraszek match the names in the 1924 death record. The birth year is a little off, but I don't count on the age at death necessarily being correct. I've come across some crazy seeming ones. It makes sense too that Wawrzyniec named his son after his father. Wawrzyniec Pietraszek and Marianna Kolodziej may have married in Zakrzówek in 1870, had children there before settling in Stara Wieś in the Bychawa parish in by the time of the births of Katarzyna, Karolina and Franciszek. Looking at lubgens, there are a number of Pietraszek children born in Zakrzówek in the 1870's. These records are in Russian. And, these towns are all pretty close to each other. There could very well be other children born in another parish. There could also be records not indexed. One thing that surprised me when starting to look at the Polish records was that people did move around in Poland more than I realized. I still have my own mystery of not finding two of my grandparent's births - yet. So it appears dropping the "z" is not intentional! I always thought it was spelled with a z but his birth record from Bychawa is missing the z and that record has to be the one! Beyond that it doesn't quite fit perfectly. Funny I just went into Lubgens and I found a Franciszek born in 1871 and died 1872 with the entry comments Wawrzyniec and Marianna Kolodziej! So it appears my Grandfather was their second try at a son! Per Marcel's translation and the index, it does appear that your grandfather Franciszek did have his last name spelled without the "z" on his birth record as did his two likely siblings in Bychawa. Death record in 1924 for his father goes back to including the "z." It looks like sister Katarzyna spelled it both ways. With my family I too experienced similar quirks. When one of my ancestor got married in another parish, the name ending in "al" changed to "ol" His wife's death record (died young) and all the records for his son had the "ol." The ancestor who spelled it "al" as did his parents and grandparents stuck with the "al" spelling. Records for another of my ancestors showed half the birth records adding an extra "s" to a name during the period that they lived in a particular town. There were two children born in Zakrzówek, the first Franciszek in 1871 and Józefa in 1874. The first Franciszek died in 1872. It seems that the remaining children indexed for Zakrzówek were born of other parents. The Karolina found by Diane was the child of Wawrzyniec and Maryanna. The other children Diane found are also their children. Here are links to four scans. It is certainly possible that other children may have been born in a different parish. Each partition had its own problems and it was quite common for peasants in the Russian Partition to move from one parish to another as they searched for employment. By a decree of the Czar in 1864 the peasants were emancipated from their feudal obligations and land reform was promised. However, according to statistics provided by Dominic Pacyga in Polish Immigrants and Industrial Chicago the land reforms did not deliver on the promised land redistribution. In fact, the number of landless peasants in Russian Poland increased from 220,000 in 1870 to 849,000 by 1891. Those who had no land moved around in search of employment. Evidently Wawrzyniec’s wife Maryanna died before him and he remarried since his death record lists his widow as Zofia née Bystryk.